From the let's all hump on hump day department... 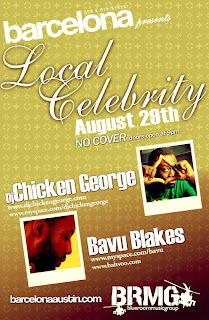 Tomorrow night... August 29th... Bavu Blakes and DJ Chicken George @ Barcelona... and free... what more can you ask for?! ?